Get ready to relax and enjoy the Florida lifestyle in a home that’s had major updates in the past 4 years, including a full re-pipe in 2015, new 16-seer Heating and Air Conditioning system (HVAC) in 2015, new roof in 2016, newly installed pool and pool cage in 2016, new hurricane shutters in 2017, and new water heater in 2018. 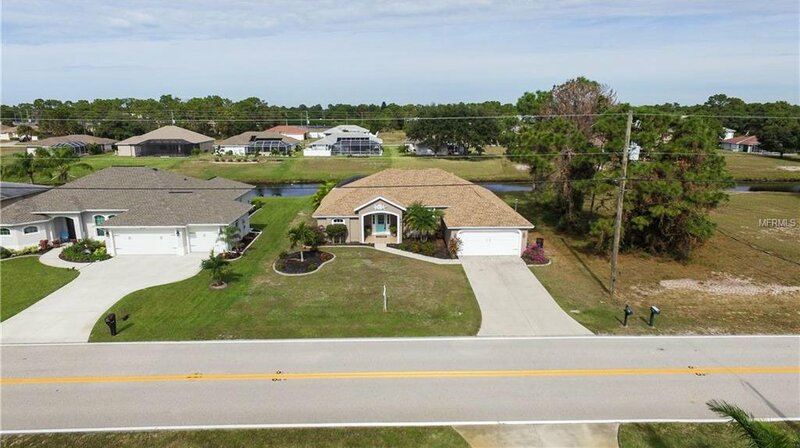 When you enter the front door of this beautifully maintained home, you will see right through the home and out to the amazing pool area that overlooks the freshwater canal. An excess of windows lets plenty of natural light stream into the house for a happy and bright feeling. Interior features also include: indoor laundry room, guest bath with direct pool access, granite counter tops in both bathrooms, vaulted ceilings and a functionable split-bedroom floor plan. The spacious kitchen includes stainless steel appliance, a reverse osmosis system, plenty of counter space, a breakfast bar and a built-in desk. You’ll also enjoy the convenience of living directly on a 28-mile canal system that affords you the opportunity of taking a boat right from your backyard to experience great fishing, cruising and even the option of heading over to “The Hills” Restaurant for dinner at one of the best “All-You-Can-Eat” buffets in town. Rotonda West is home to 5 golf courses operated by Rotonda Golf & Country Club and a beautiful new community center located in Broadmoor Park. Call today to schedule your own private showing and to learn more about this highly desired community. Listing courtesy of PARADISE EXCLUSIVE INC. Selling Office: COLDWELL BANKER RESIDENTIAL REAL ESTATE.